For this week’s roundup of creative design links from the blogosphere I have an article highlighting the theory and best practices behind tabbed navigation; a collection of tutorials for creating poster artwork; a great set of coming soon page designs; a roundup of character design tutorials; and a list of useful blogs for web design and development. User experience blog UX Booth have some really interesting articles highlighting tips and best practices for your website design. 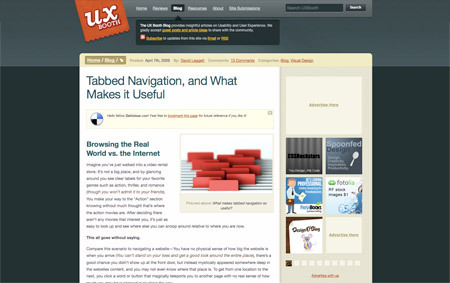 This particular post documents why tabbed navigation in website design works, an interesting read for anyone involved in creating websites. Poster designs are always a good opportunity to produce something creative. 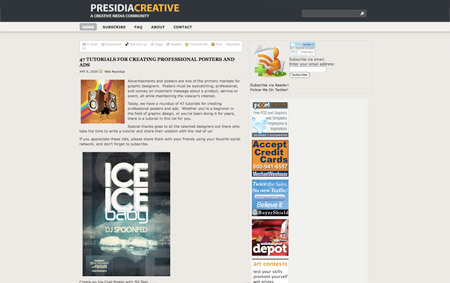 This roundup of tutorials for creating professional posters and ads from Presidia Creative is a great source of inspiration and a good resource for picking up new techniques. 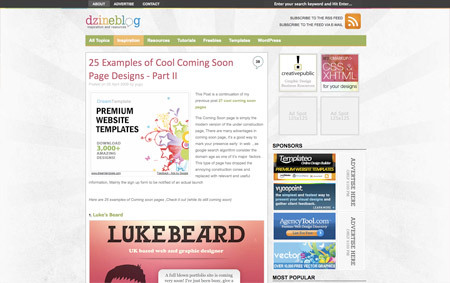 The coming soon page is the modern version of the under construction page, a temporary presence on the web that is eventually replaced with real content. This doesn’t hold back designers and developers from publishing something creative on their domain, check out this list of examples from Dzine Blog. Character designs are always fun projects, especially when used to learn the tools and techniques of Photoshop or Illustrator. Creative Nerds has put together a post rounding up a bunch of cool character design tutorials, it’s great to see some of my tutorials from Blog.SpoonGraphics made the list. 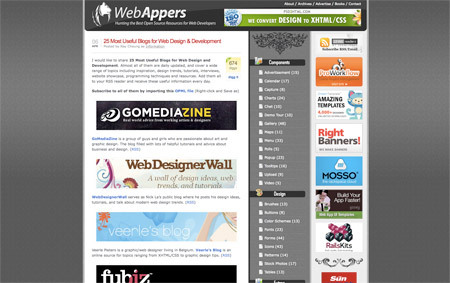 If you’re here reading this post on Blog.SpoonGraphics, chances are you have an interest in web design or development. There are a bunch of blogs based around the same topic and WebAppers are sharing their collection of the 25 most useful. All of which are updated on a regular basis and cover a wide range of topics. Add them all to your feed reader for a dose of creativity every day! Thanks for the mention, also a very nice selection of articles a nice read. Definately a good read thankyou! 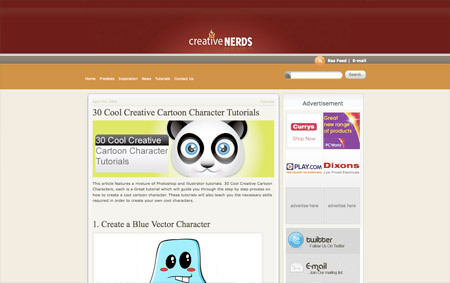 Creative nerds its a great site, i like it. cheers for this, i’m into posters atm! Nice share! I really like Creative Nerds.